All safe, functional, and airy bathrooms have one thing in common: a thoughtful layout. Before you worry about the color palette of your bath, you should consider how to arrange its essential features properly. First, decide which functional areas you would include in the design and how they would fit into the space. Other than putting your lifestyle into consideration, you should factor in the amount of room you have. You can’t just put everything you could think of. Regardless of the size, always work with the space you have. You can’t always put a shower and tub together if your limited area doesn’t allow it. In your bath remodel in Allendale, MI, you have to be creative in maximizing your floor and wall space to have all the features you prefer. The authorities value safety and spaciousness. There are regulations in place to ensure you place your fixtures right. Experienced designers are familiar with the latest space guidelines and can put everything together without breaking any rule. Our bath remodelers are masters of overlapping spaces and optimizing every inch for adequate storage. If you encounter a stumbling block, don’t hesitate to consult our experts for workarounds. As the top , we know that ventilation is more important in baths than other finished spaces. You should never let the moisture go up. Instead, exhaust it straight to the outdoors to avoid compromising your attic’s structural integrity. You can choose from a variety of modern venting options, but creative window designs work too. 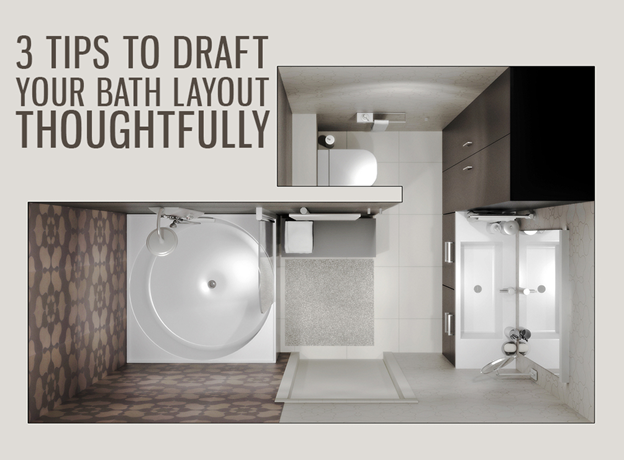 Planning a bath layout is paved with challenges. To design a renovated bathroom, call Rainbow Bath and Shower now at (844) 203-9777.